The Eastman EBJ-WL1 is a faithful recreation of a 1903 A. C. Fairbanks Whyte Laydie No. 2. Eastman worked very closely with world renowned vintage instrument expert John Bernunzio over a three year period to develop this awe-inspiring work of art. 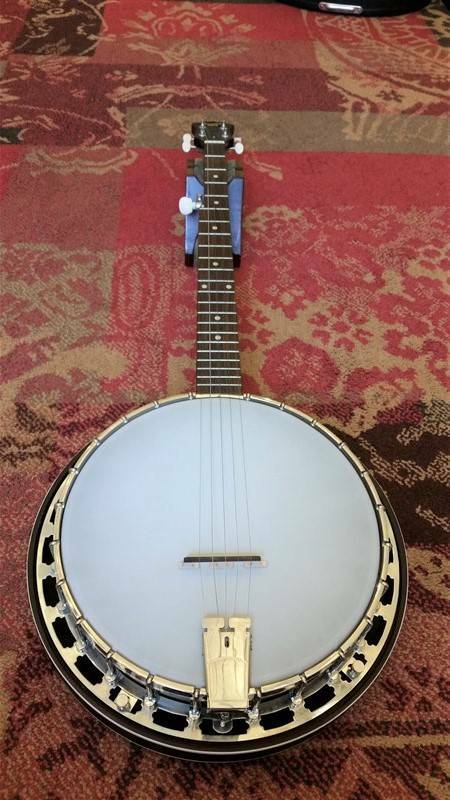 It is reverse engineered from an extant example of the iconic open backed turn-of-the-century banjo and mimics the original in every way with the exception of the geared tuners. All of the materials employed in the EBJ-WL1 are period correct with maple neck and rim and ebony fingerboards. The rim is light weight, 3/8” thick and 10-3/4” in diameter. The scale length is 26”.